What girl doesn’t love roses? This delicately-sweet flower basically makes women go weak in the knees - which explains why they’re so many rose-inspired products on the market. I for one, am a lover of roses, from just because stems to beauty balms, tea cups, and just about everything in between. 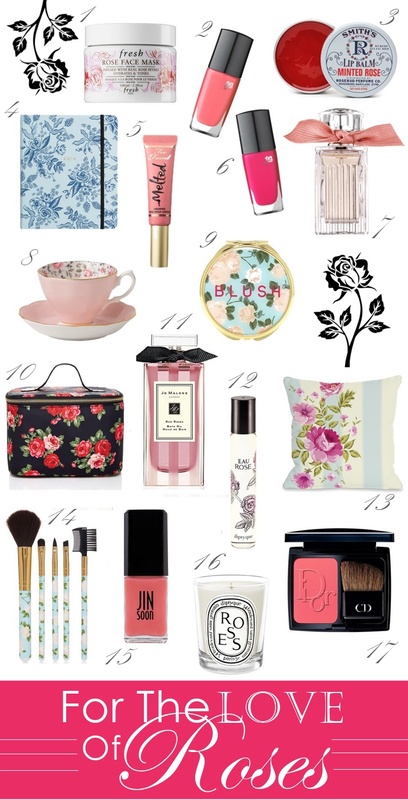 And I know I’m not the only one, so below I picked a few budding items for rose lovers everywhere!